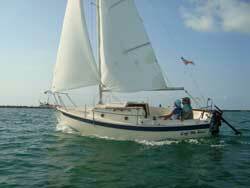 A 20 foot or 23 foot day sailing boat is available with each rental. 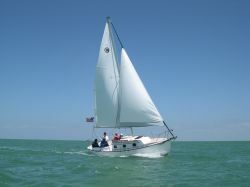 The Florida Keys have so much to offer for boating adventures for the experienced sailor. 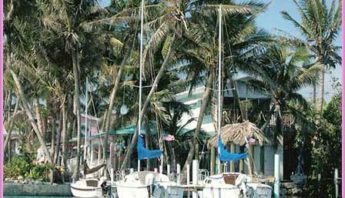 These vessels are all fiberglass, shallow draft boats. They are U.S.C.G. 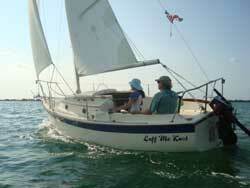 equipped, complete with outboard motor, navigational charts, VHF radio, toilet, and standard sail selection. 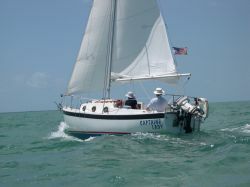 Our Treetop Cottage and House guests sail one of the 23 foot Com-Pac Yachts, “Captains Lady” or “Breeze Please”. The beam is 8 feet and the length is 23 feet 11 inches. The draft of the 23 Com-Pac is 2 feet 3 inches. 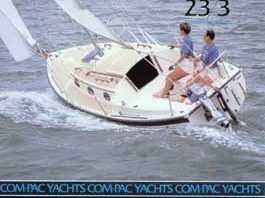 Plus we have a 20 foot Com-Pac Yacht. 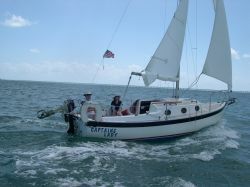 The 20 foot Com-Pac Yacht, “Luff Me Knot”. There is room inside for two adults to sit or sleep. The sliding companionway hatch and forward opening hatch provide plenty of ventilation. 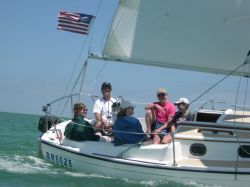 The mainsail with lapping jib sail plan, in harmony with the shoal-draft keel configuration of the hull, delivers an efficient, stable, and uncompromising sailing experience. 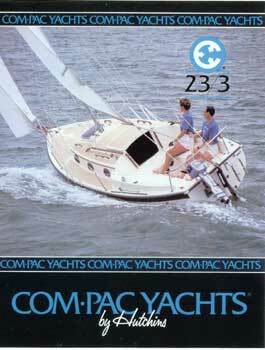 The Com-Pac 23 offers accommodations and equipment which make her a most exceptional yacht. 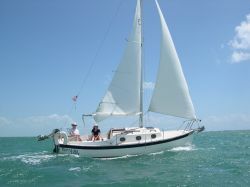 With a two-cabin layout for privacy, a standard-equipment, hide-a-way galley and shoal-draft keel developed from NACA low-drag, high-lift wing sections, the Com-Pac 23 is ready for extended cruising or daysailing the Florida Keys. Crystal clear waters surround the Florida Keys. 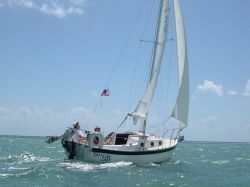 You will be sailing on the bayside, also known as Florida Bay, which is part of the Gulf of Mexico. 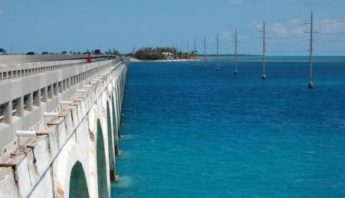 This body of water is full of marine life and hundreds of species of wild birds that call the Florida Keys home. Winter time for wild birds is the time for finding a mate. The threatened Florida brown pelican winters in the Florida Keys and summers in the Carolinas to have their young. They will have their full colors on – yellow heads, red outlined eyes, bright white necks and will be looking for just the right mate! The great white egret will also be displaying courting “outfits”, long wispy tail feathers, iridescent emerald outlined eyes. This part of the bay is in the National Great White Heron Refuge and you will see many native Great White Herons plus wintering Great Blue Herons. About 1.5 miles from your accommodation is an island called “Bird Island” which is home to thousands of wild birds. Manatees are often viewed because they also winter here in the Florida Keys. 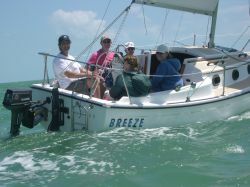 Dolphins and loggerhead turtles are permanent residents and we are sure you will be able to see them while sailing in the Florida Keys.